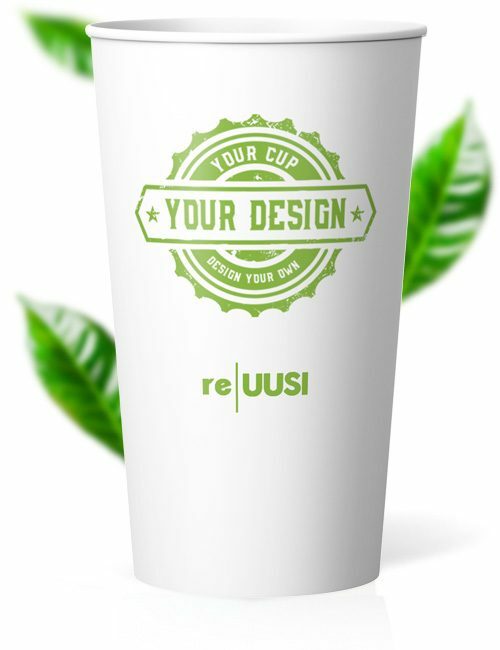 A recyclable branded paper cup for hot and cold drinks that can be processed by regular waste plants thanks to the unique EarthCoating® lining that, not only has nearly 50% less plastic, but easily separates from reusable paper in the pulping process. Perfect for serving juices, chilled drinks or water, this high quality 310 gm. 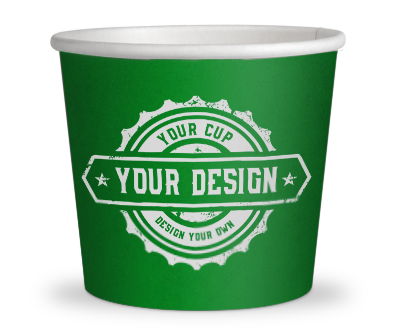 boxboard stock is highly durable and an excellent canvas to showcase your brand with our usual standard of high-resolution printing while you demonstrate your environmentally-friendly credentials. 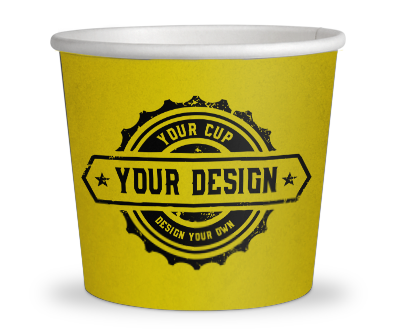 Check out our galleries for examples of amazing spot colour finishes, cutouts, matte or gloss options and more. 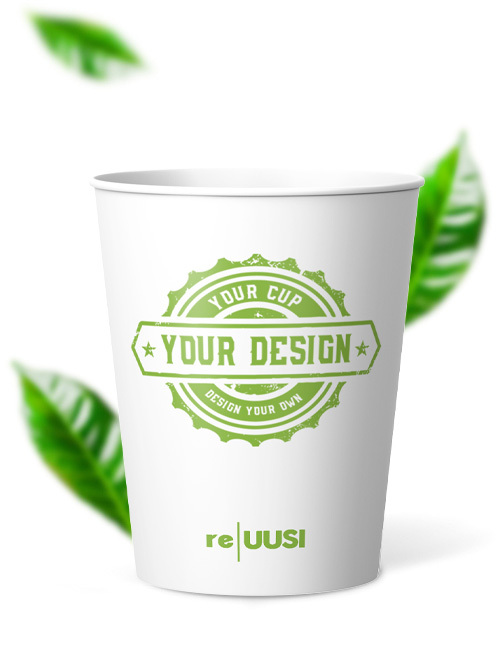 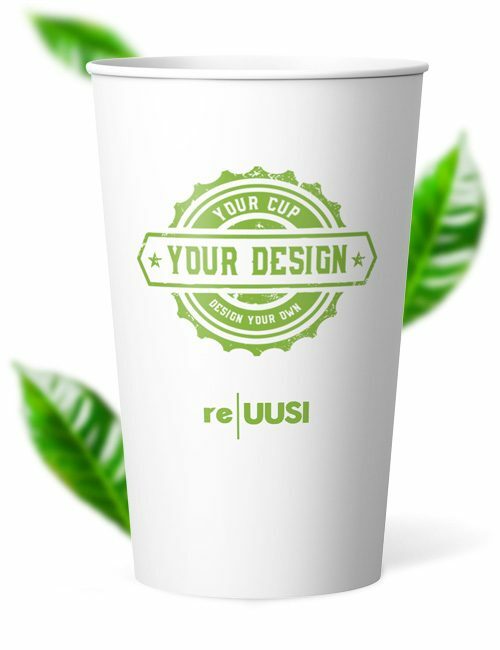 All 4oz Single Wall re|UUSI eco friendly coffee cups can be purchased in orders as small as 1,000 units, as large as 250,000 units, and everything in between. 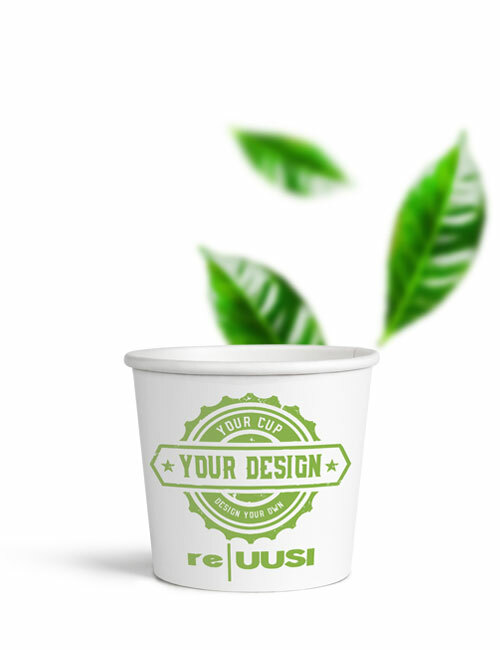 We process purchases quickly and deliver to you within 14 working days! 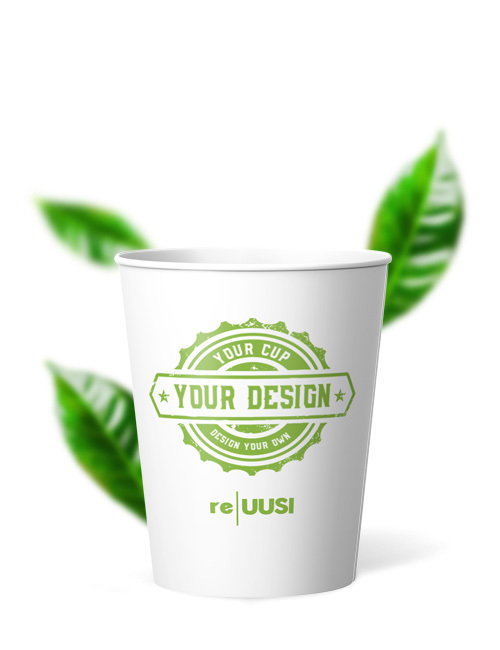 For your individual Single Wall re|UUSI 4 oz design we provide you here our rectangular template as PDF for download.